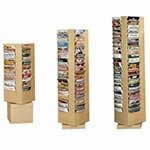 If you require literature storage, from book holders to a magazine rack or a brochure stand, you’ve come to the right place. 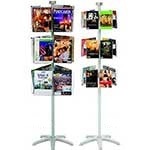 The Expanda-stand range of literature racks, displays and mobile units are available with a wide range of configurations to choose from. 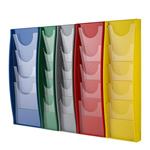 The range has a unique modular design that allows the user to re-arrange, remove, replace and add additional literature dispensers / display pockets to existing displays. 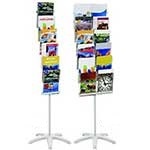 These transparent pockets are also constructed with full height edges designed to prevent paper curl. 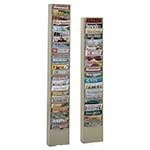 Literature racks are a popular item especially in waiting / reception areas and high traffic locations and the Expanda-stand range offers a fantastic amount of variety as well as a professional, economical design. 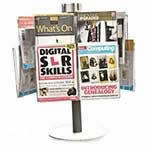 At ESE Direct, the Expanda-stand range of literature displays aren't the only range we do. For neat, desktop document storage, take a look at our handsomely designed rigid steel Horizontal Literature Racks in a smart tan finish. 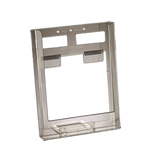 These racks have non-scratch rubber feet and can be linked together vertically or horizontally. 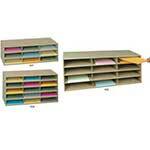 An alternative design comes in the form of our Vertical Literature Racks, with 11 or 23 compartments. 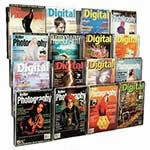 These wall-mounting steel racks hold A4 sized magazines or up to 150 sheets of paper and come in a choice of four colours – tan, putty, grey and black. 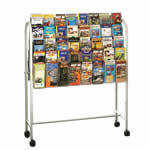 For books, we supply an elegant range of Rotary Literature Racks for desk or floor standing depending on size. The racks have full 360° rotation on a smooth, ball-bearing table.